Spacious 3/4 acre yard surrounds this home with both front porch and back deck. 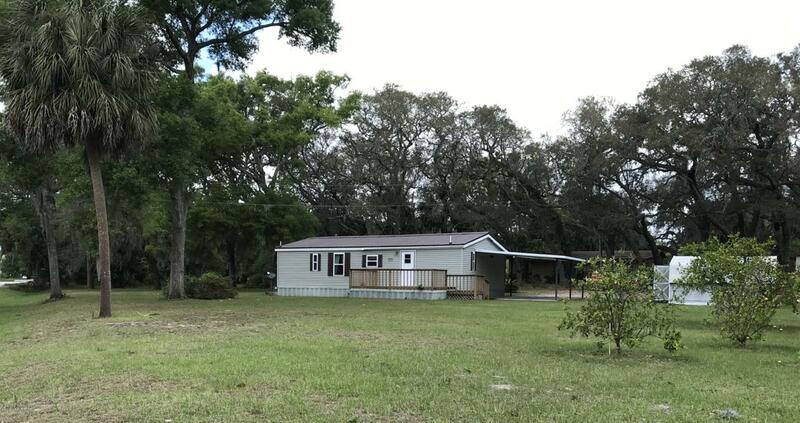 Well maintained 2 bedroom 2 bath 1991 manufactured home with Metal roof, carport and storage shed. Furnished if you wish and ready to move in and enjoy the friendly neighborhood near shopping and many lakes for your pleasure.